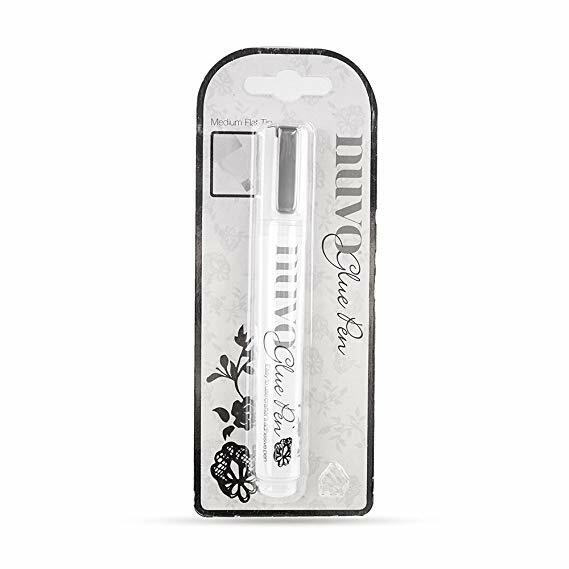 The Nuvo Smooth Precision Glue Pen effortlessly drifts across projects with a strong and reliable adhesive. The easy to control, squeezable barrel produces thick or thin lines which dry clear for a cleaner finish. Ideal for use with Glitters and Gilding Flakes, the fine-tip pen and pressure controlled barrel makes applying the adhesive simple. Fine precision nib.